PRODUCTION SERVICES - Neuwirth and Associates, Inc.
From the selection of the appropriate copyeditor through optimizing your manuscript for design to the final release of files to the printer, our workflow is designed to ensure an efficient journey throughout the editorial process. 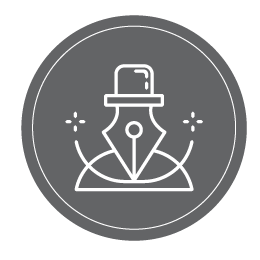 Every project is unique and requires a flexible editorial process, which may include early troubleshooting to avert issues and delays in the final stages. We work with you to assure the process does not drag out and quality is maintained. In our 25 years working with Neuwirth, Pauline and her team have been consummate professionals and fantastic partners in the publishing process. Neuwirth has been reliable, innovative, and always ready to take the extra step to help us produce the best books in the most cost-effective manner. By outsourcing our print management and production to Neuwirth, we have built up both the Avalon Publishing Group and Counterpoint Press to the next level without major cost spikes. Pauline Neuwirth and her team at Neuwirth & Associates can provide any independent publisher with extraordinary expertise in the areas of design, production and manufacturing. Pauline generously shares her decades of experience and offers efficient, economical solutions to all printing needs.